One of the main foundations of a successful business is a steady flow of cash through the enterprise. Even though your business may trade on credit terms, you still need to ensure that the cashflow through your business isn't interrupted as this could cause major problems in the short and medium term. No one is born with financial management skills, but to ensure your business stays profitable it's important that you gain some basic skills and understanding of how cash impacts on your business. All of the high street banks that offer business accounts to small businesses can help you design and set-up your financial systems. Many banks in fact offer software that helps you design a budget for your business and track the cash as it moves in and out of your business on a daily basis. Your business plan will have financial projections for the next few years. Use these projections as a starting point for your budgeting. Be diligent with keeping your financial records up-to-date so you can see at a glance how your business is actually performing in relation to your projections. Use an accountant to help you compile these figures, but always keep an eye on the day-to-day operation of your business so you can spot early any problems that could cause you financial hardship. Your budget:The business plan you developed should have contained a detailed budget of the financial components of your business. It should contain an indication of your overheads, fixed costs and any other items that you consume when operating your business. Your budget is a forecast of how you think your business will perform. Always measure this against what actually happened as your business progresses. Your cashflow:The cash that comes into and flows out of your business should be tracked as closely as you can. Every business has bills to pay so it's imperative that you have the cash to meet these commitments when they arrive. Your cashflow is intimately linked to the credit that you are given by your suppliers, and the credit you offer to your customers. Both sides of this equation must balance. 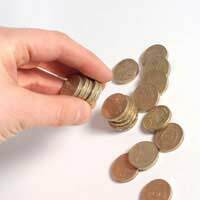 Your breakeven point:The breakeven point of the goods or services you sell is simply the minimum amount of money you can charge to cover your costs. You can see an overview of how to calculate your own breakeven point on the small business website: www.completebusinessstartup.co.uk/starting-business/break-even-calculation.html. Knowing your breakeven point is useful as you can see how far you can cut your prices if you have to but still turn a profit. To gain more of an insight into how you can better manage your cash you can download a practical guide to cashflow management from the Chartered Institute of Management Accountants website: http://tinyurl.com/k5kun. Cash is king in every small business. Look after the cash and you can be sure that your business will be stable and profitable in the future.